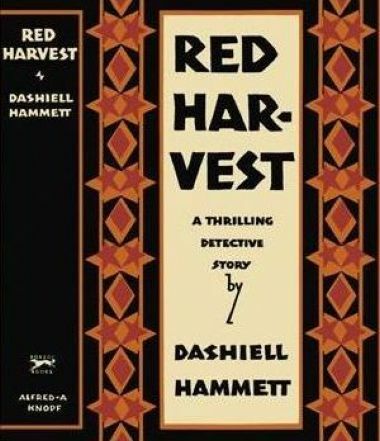 Red Harvest is a classic crime novel that helped established the hard-boiled genre. This is most definitely not a polite, parlor mystery where most of the blood is spilled off of the page. As the title suggests, this book is filled with mayhem and the bodies are falling left and right. 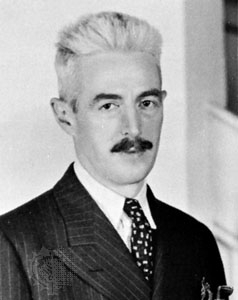 Dashiell Hammett was an American author of detective crime fiction and short stories. As a young man he started his career at the Pinkerton Detective Agency as an operative. Hammett wrote most of his fiction while living in San Francisco in the 1920’s using street locations and characters based on people he knew personally. He is currently known as the dean of the “hard-boiled” school of detective fiction. Although his short writing career included 5 novels, 54 short stories, 18 published collections of short stories and 4 screenplays, his most popular and memorable characters are Sam Spade (The Maltese Falcon), Nick and Nora Charles (The Thin Man), and the Continental Op (Red Harvest and The Dain Curse).--Wikipedia. Epub 20170231.epub If you cannot open a .mobi file on your mobile device, please use .epub with an appropriate eReader. Mobi/Kindle 20170231.mobi Not all Kindles or Kindle apps open all .mobi files.